Plan a tour to the must-see Blue Mountains, the ideal destination for a family retreat or a romantic escape. Known for its spectacular scenery, the Blue Mountains is a mountainous region that is older than the Grand Canyon. It is a World Heritage area that is just a couple of hours away from Sydney, Australia’s biggest city. It is where people can enjoy bushwalking and visit various galleries, shopping and dining spots, day spas, golf sites and attractions including the amazing rock formation, The Three Sisters at Echo Point. Book a trip with Sydney Transport Group for stress-free transport to the Blue Mountains. We have a wide range of buses you can choose from. We can cater to groups of all sizes, no matter how small or large. The Blue Mountains is a mountain range, which allows people to explore their adventurous side. If you are looking to venture into extreme sports, there are plenty of exciting outdoor activities to do in the Blue Mountains, including bushwalking, four-wheel-drive adventures, rock climbing, horseback riding, sight-seeing, paragliding and abseiling. 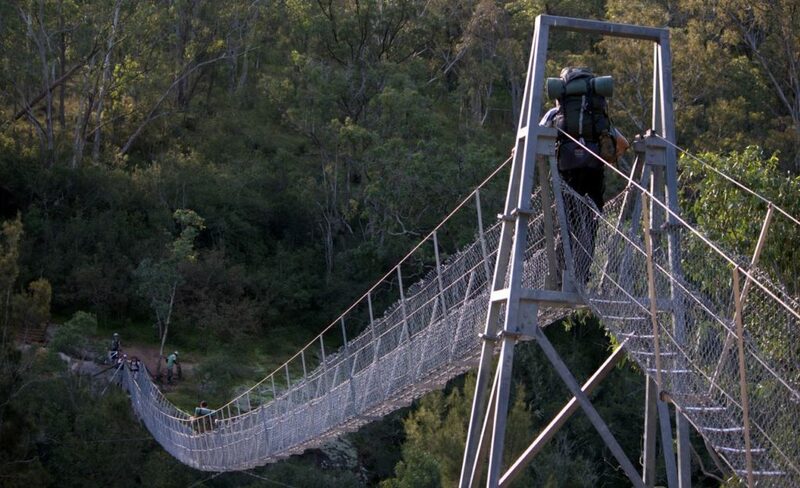 One of the most popular outdoor activities to do in the Blue Mountains is to trek the beautiful mountain range. Bushwalking allows tourists to admire the natural creations in the mountains including wild trees, shrubs and rock formations. Form a group and explore the mysterious routes. Admire the biodiversity in the Blue Mountains, which is known for being one of Australia’s best destinations for trekking due to its incredible network of trails. If you have a child with you, try the super easy tracks like the Knapsack Gully Viaduct trail. It is child-friendly and has access for wheelchairs. 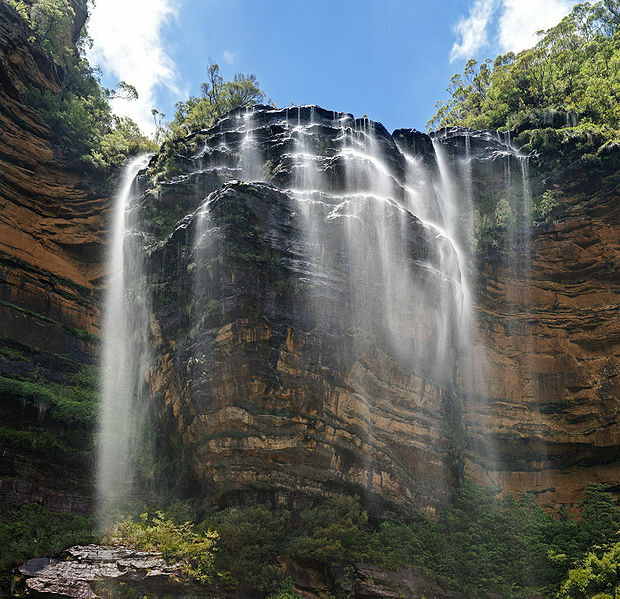 If you wish to see waterfalls, bushwalk around Wentworth Falls, to the base of Katoomba Falls or explore the views of the Bridal Veil Falls and the Kanangra Falls in the Kanangra Boyd National Park, which is considered one of the most beautiful waterfalls in Australia. For couples looking for a more adventurous trail, trails around Lawson and Hazelbrook are worth checking out for their romantic sceneries. Or take a walk along The Valley of the Waters in Wentworth Falls or at the Leura Cascades. One of the ways you can admire and enjoy a heart-thumping ride around the Blue Mountains is in a four-wheel-drive vehicle. A four-wheel- drive around the mountain ranges allows you to admire the exquisite scenery while speeding along dirt-covered, curved tracks and steep hills. We like Tread Lightly Eco Tours, Simmo’s Offroad Tours and High Country Trail Rides. While this activity is not appropriate for children or for the faint of heart, paragliding is one of the most exciting activities you can do while in the Blue Mountains. You get to soar through the sky amongst the clouds and see for yourself the bewildering natural scenery from a bird’s eye view. Experienced paragliders have the option to rent gear, while beginners have the option of being guided by an instructor. We like Adventure Plus. Another way you can explore the marvelous Blue Mountains is on a horseback or a quad bike. Feel the cool, fresh breeze as you ride along the trails through a range of pine trees and preserved bushland. We like the Blue Mountains Horse Riding, Centennial Glen Stables, Yarrabin Guest Property, High Country Trail Rides and Euroka Homestead. Looking for something a little more extreme? Check out a wilderness adventure or a mountain training course. Rock climbing and abseiling are not just fun, they can also be useful in other areas like in search and rescue, military and science. We like the Australian School of Mountaineering, High ‘n Wild Mountain Adventures, Peak Achievements Adventure Learning, River Deep Mountain High and Blue Mountains Adventure Company. The Blue Mountains does not only offer adrenaline-pumping and adventurous outdoor activities, it is also a place for people to relax and unwind. It is a place where countless spa and beauty destinations can be found. There are plenty of other sights to see including various museums and lots of indoor activities that can be enjoyed with children. Rejuvenate your senses and pamper your skin with a therapeutic massage or beauty, spa, and wellness treatments or by visiting Japanese bathhouses. We like the Lavender Manor and Majestic, Yindi Day Spa and Blue Mountains Sparadise, Kurrajong Village & Mobile Service and The Scandinave Spa. 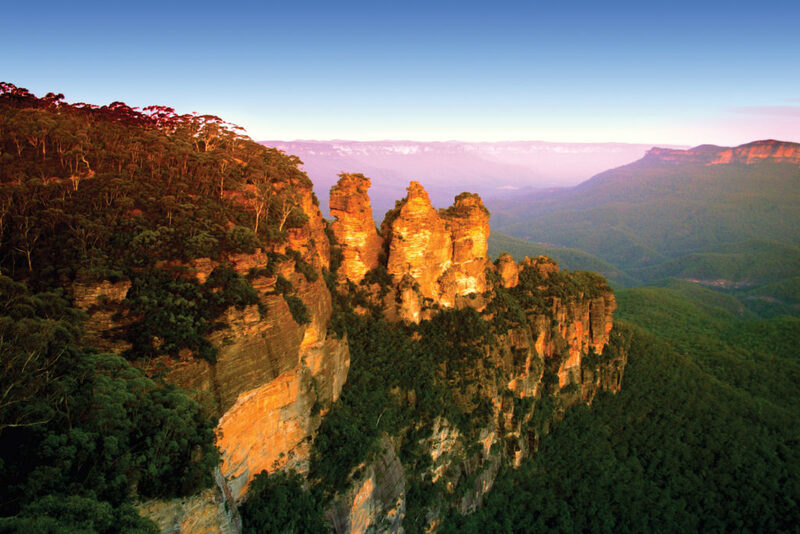 Learn about the history of the Blue Mountains and the culture of the World Heritage area. We like the Valley Heights Locomotive Depot Heritage Museum, Leuralla Toy & Railway Museum NSW, Museum of Fire, Mt Victoria & District Historical Society Museum and Arms of Australia Museum. Keep your children entertained, as you get pampered at a day spa after an adventurous outdoor activity. The Blue Mountains offers many activities that children will enjoy including movies, exploring caves and lots of others. We like The Edge Cinema, Glenbrook Cinema, Blue Mountains BMX Club Inc, Jenolan Caves, Build-A-Mind, Trees Adventure and Lowes Mount Truffiere. Contact us for more details about the Sydney Transport Group Bus and Coach Charter Hire. We can accommodate all group sizes and occasions. Send us an email at info@transportgroup.com.au or call us at 02 8006 8221.